Almada’s location leaves it highly vulnerable to flash floods, particularly following heat waves. As the frequency of such events is projected to increase dramatically by 2100, Almada is implementing the “MultiAdapt” project. This involves the construction of four vegetable gardens, designed to absorb the water runoff in the flood plain during storms by serving as a filtration area. The gardens will also mitigate the urban heat island effect, contribute to Almada’s food security and improve the urban water cycle. 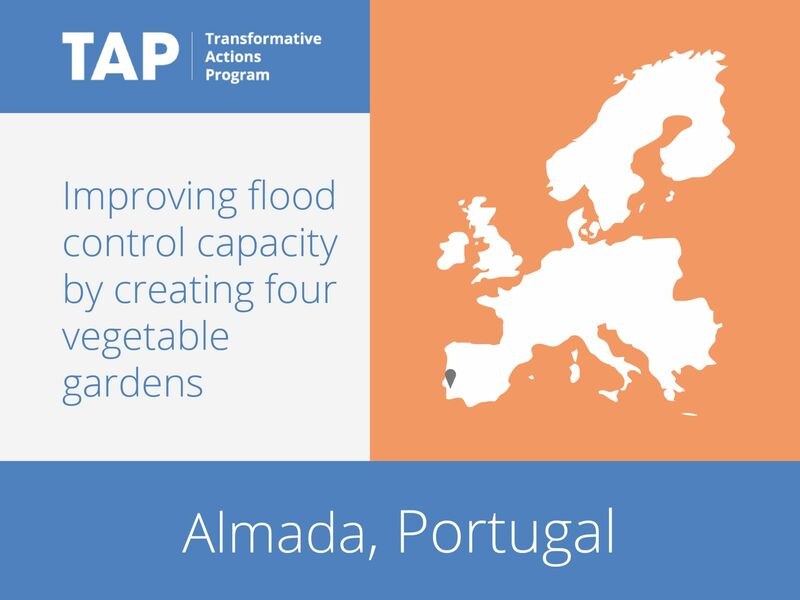 Almada’s citizens will thus benefit from the vegetable gardens both during and outside of extreme weather events.